Pioneers in the industry, we offer ball valves from India. We are acknowledged as the most demanded manufacturer, exporter, wholesaler and supplier of Ball Valves. 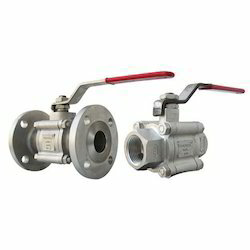 The offered valves are available in variegated sizes and design at par the demands of our clients. Our offered valves are manufactured using the best quality raw material and ultra-modern technology in adherence with industry norms. Moreover, these valves are examined on diversified quality parameters in order to ensure their quality. We export our products in Gulf and Europe countries, and we import from Japan, Europe and Gulf.